“It’s so simple. 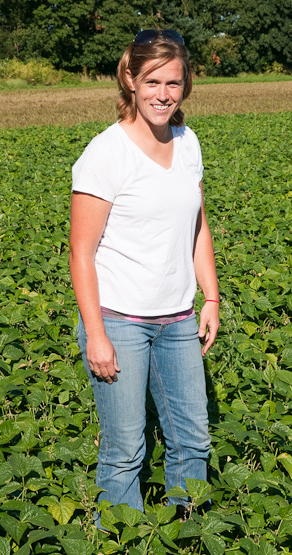 You just call them up, show them around your field and they take care of the rest.” - Molly Pearmine McCargar of Pearmine Farms in Gervais. How does Salem Harvest “…take care of the rest”? Volunteers receive the exact location and instructions only after they sign up for a harvest and agree to our liability waiver. This waiver protects both the crop owner and Salem Harvest. In addition, Salem Harvest carries comprehensive liability insurance to cover unforeseseen events. All volunteers have previously registered with Salem Harvest and have agreed the our Terms of Participation that spell out the rules that they must follow at harvests. We arrange for trained volunteers to be on-site a half hour before the harvest starts to help people park their cars and check in. The harvest does not start until the designated time. All volunteers are given an orientation about who the generous farmer is, why we are picking there, any special instructions, safety guidelines, and a reminder to supervise children. At the end of the harvest, volunteers donate half of the produce they have picked. The rest they take home for their own families. Salem Harvest makes arrangements with Marion-Polk Food Share to transport the donated produce. Our trained volunteers are the last to leave. Salem Harvest then sends a thank you along with information about your generous gift and a tax donation receipt.